Get the latest updates on biotechnology, related legal issues, and how they fit together. 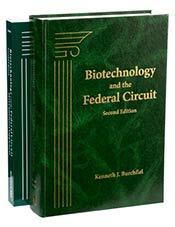 This valuable reference provides an in-depth consideration of the entire body of Federal Circuit precedent in the rapidly developing area of biotechnology. This treatise integrates the court’s decisions in chemical, biotechnology and pharmaceutical cases with an analysis of the current law. The Second Edition offers full analysis and incisive, expert commentary on recent en banc Federal Circuit and Supreme Court decisions which have rewritten the law applied to biotechnology inventions and altered the basic legal principles governing patentability and infringement.